Gaetano Cicciotti serves authentic Italian food in San Diego, some say the Best in Italian Food in North San Diego County. He has been recommended by friends as the best Italian restaurant in San Diego County for Italian food. 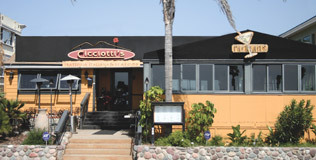 Cicciotti's is casual Italian dining cooked by a Published Author & Chef Gaetano Cicciotti. Cicciotti's Trattoria serves classic Italian pasta like fettuccine Alfredo which you might find in Italian restaurants, but you won't find Italian restaurants that cook fresh Italian food the way Gaetano Cicciotti does. Gaetano Cicciotti has a Trattoria, as well as a fine Italian catering business with amazing Italian caterers. 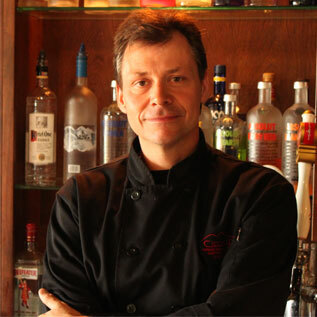 Gaetano oversees his catering business like his restaurant, all focused on the freshest ingredients available. As a native Italian Chef he serves true Italian cuisine, Italian dinners and traditional Italian food. It is one of the great Italian Restaurants in North San Diego County. As far as Italian Restaurants in San Diego go, if you want an Italian Restaurant serving pasta and pizza you should come to Gaetano's and try his great Italian Restaurant. As an Italian Trattoria he is preparing sophisticated and elegant dishes, yet you can get the simplest pizza and pasta to satisfy the need for excellent wood fire baked thin crust pizza. This is one of a handful of true local Italian restaurants in North San Diego County. Traditional Italian Food in San Diego, like pasta dishes, pasta menus, even specialty pasta restaurants are available. If you want a pure wood fired brick oven pizza restaurant, a very romantic restaurant among romantic restaurants in San Diego County, then this Italian Food spectacle is just the place for you.